Will Smith has been in the news for his take on Genie in the live-action remake Aladdin. A lot has been said on social media and The Pursuit of Happyness star faced a lot of flak for his version of Genie, which some said wasn’t even blue. However, that doesn’t take away from the legend that he is. He will still be our forever favourite. Now without diverging from the main topic, let’s give you the latest buzz. 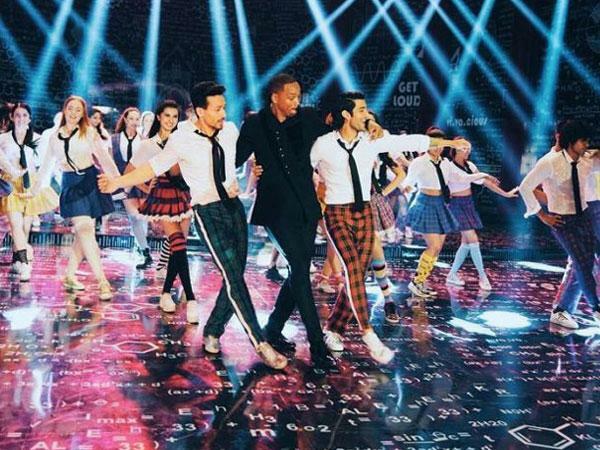 The news of Will Smith shaking a leg in Karan Johar’s SOTY sequel is old. What’s new is what actually led the celebrated actor to do it. According to a report in Mumbai Mirror, the actor’s love for India is the reason. The actor has always been quite fond of India. Since 2016, to be precise and he has visited the country once every year post that. His pictures with all the Bollywood A-list actors like Ranveer Singh, Akshay Kumar, Alia Bhatt, Sonakshi Sinha and many others flooded our social media feeds back then. Well, those who thought it was just a social visit, it wasn’t. Will was actually shooting an episode for his reality show, Bucket List. This finally clears the air on what led Will to be part of a Bollywood film. Not just that, the show will also feature Will’s visit to the Taj Mahal in Agra and the holy locales of Rishikesh and Haridwar. If you’re lucky you might catch a glimpse of the actor riding a auto-rickshaw on Mumbai’s streets too. In fact, Will was so fascinated with auto rides that he went on to start his own ‘Tuk Tuk’ company in Los Angeles. How cool is that?! If you’re a crazy Will Smith fan, you now have a legit reason to watch his show, Bucket List. Next story Alia Bhatt is the hottest cover girl in Bollywood and here’s proof!